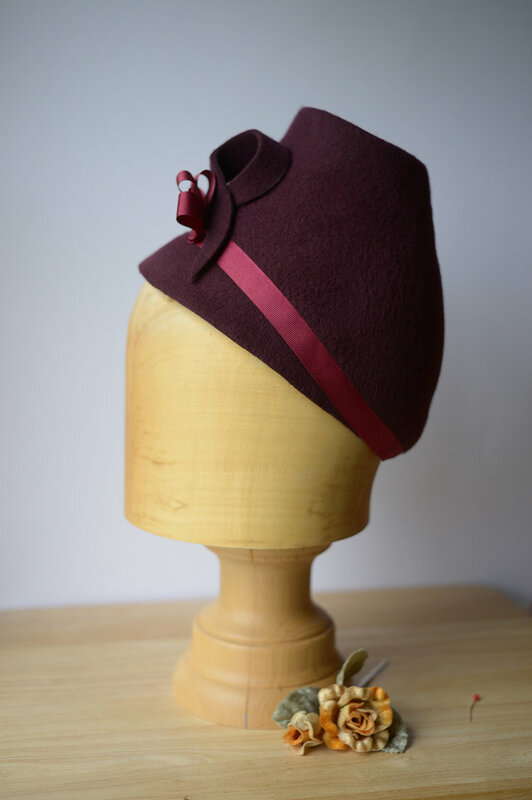 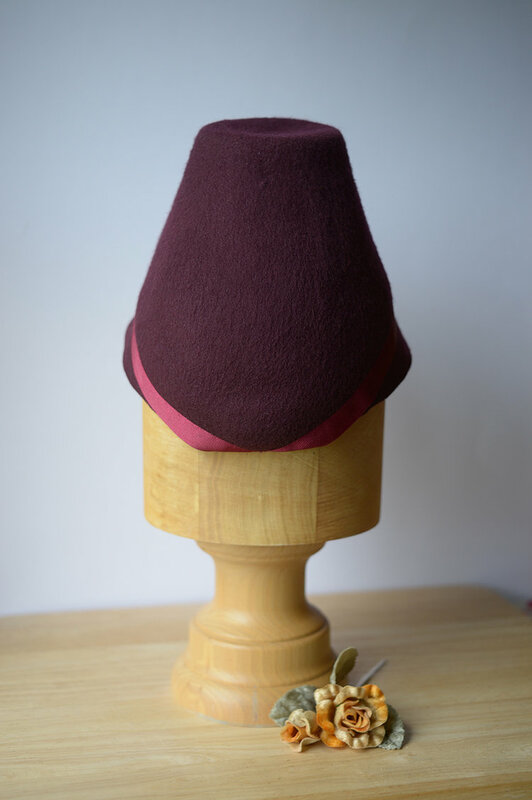 A bold looking plum coloured hand blocked felt homburg 40’s style hat. 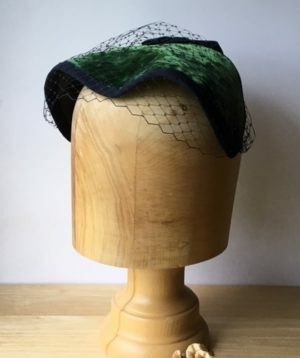 Stiffened with French lace and finished with a head band. 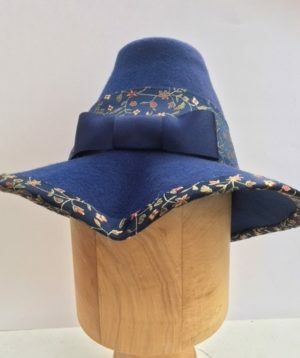 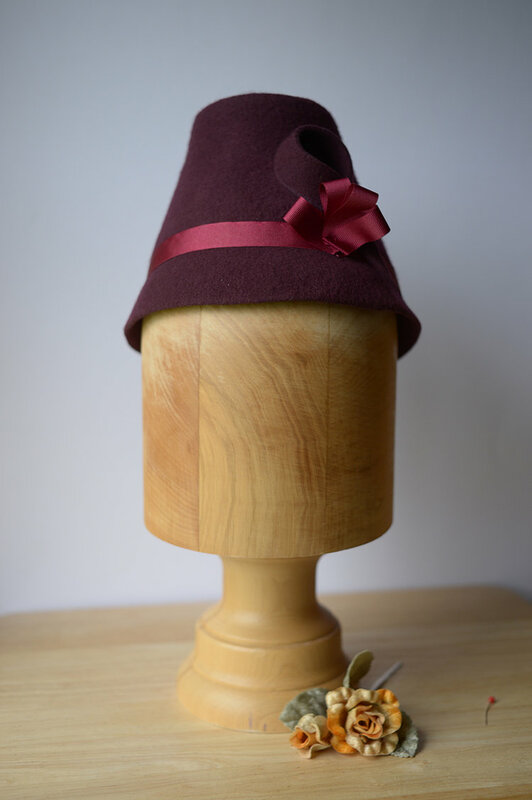 Outside of hat is decorated with a grosgrain ribbon and bow and finished with felt decorative motif. 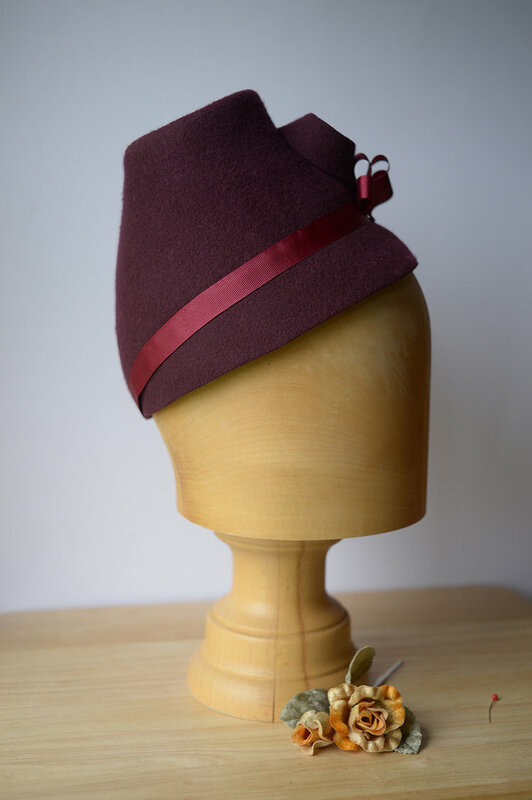 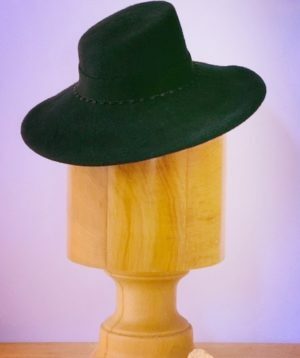 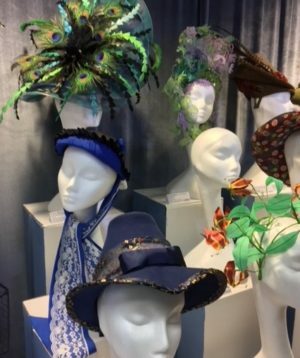 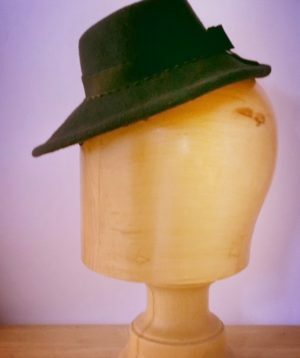 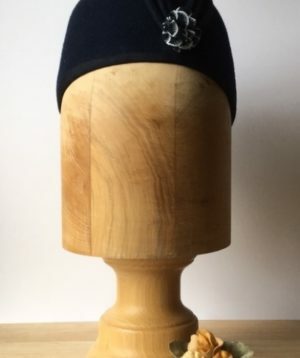 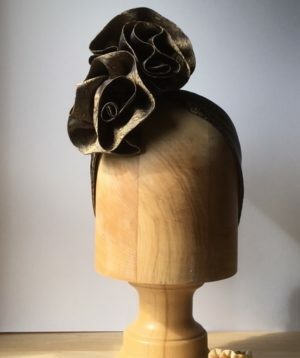 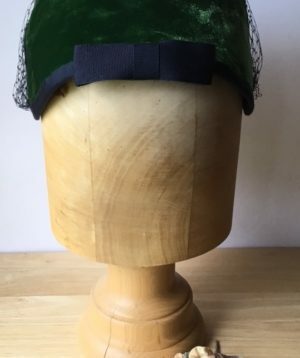 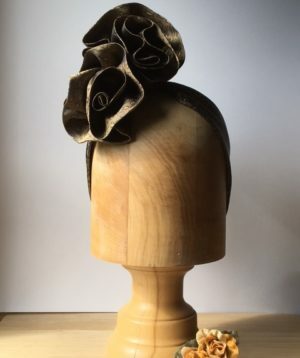 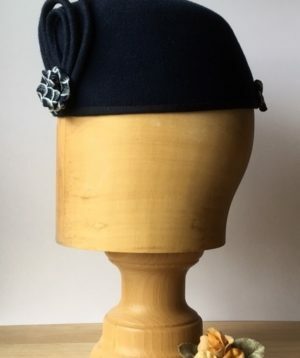 Enjoy making a statement with this hat to finish off any smart 40’s clothing and sets of any hairstyle especially rolls and buns to the nape of the neck.